Want to share some love with your family this holiday–or any day? Try this fun breakfast. All you need to make heart shaped pancakes are two empty squeeze bottles, a pan, and your favorite mix. Easy, peasy! I know . . . I know. You’ve tried shape pancakes before, and they turned into shapeless blobs. Every snowman, Mickey Mouse, and bear and star turned into a space alien. Space aliens are fun, but sometimes you want the shapes to look like you intended! Cut the tip off of one squeeze bottle. This is your “fill-in” bottle. The unaltered bottle is your detail bottle. Draw the details with the detail bottle, and then fill in with the “fill-in” bottle. Keep your temperate between med low and med. You may have to adjust as you griddle gets hotter and hotter. If you are adding chocolate chips, don’t set your bowl near the stove. By the time you are ready to add them, they will be chocolate sauce (learned that one the hard way)! If you decide to write letters, write them backwards. When you flip, they will be the right way, and the flipped side always looks neater. The larger your drawing, the more difficult it will be to flip. Keep it small. 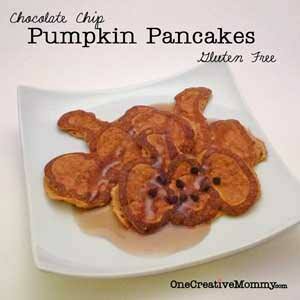 If you are using a gluten-free pancake mix with almond meal, the almond meal may clog the small tip. You can draw with the large tip. You just won’t get as fine detail. 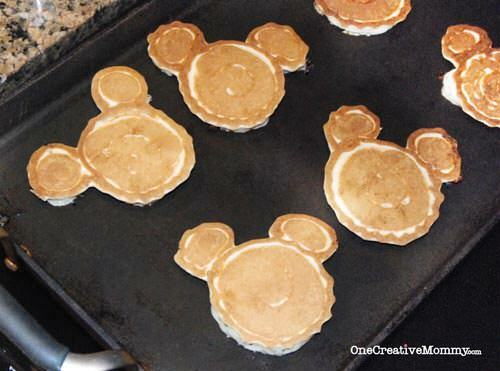 Keep these ideas in mind, and even your Mickey’s will look great every time! What do you like to serve your family on Valentine’s Day? I’m so glad you came to visit. If you’re looking for my Build Your Blog series, I haven’t stopped. I just hit a few glitches. I’ll have more for the series as soon as I can. These are adorable! Who knew it would be so easy? My mom used to make these when I was a kid, but we used cookie cutters. It was kind of a pain with cookie cutters. I’m definitely going to try it this way! What a great idea! These are too cute! I am off to pin this and will try it next time we have pancakes! Great tip! I have those same bottles and have a small snip in one and nothing done to the other. I love the idea of cutting one of with a larger opening to be the fill. Brilliant idea! I can’t wait to make these for my kids Heidi! It will make their day! Thank you! 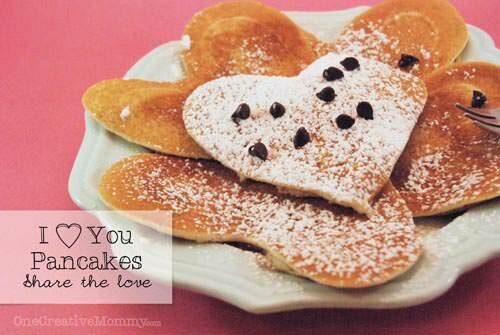 Custom pancakes are always popular at our house and I know the kids would love waking up to chocolate chip heart pancakes on valentines…they’ll be at their dad’s on valentines day this year…but maybe I’ll suprise ’em early :D Thanks for sharing these at our Sunday Show and Tell! 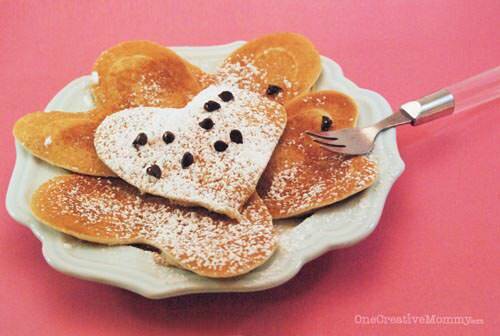 We’ve made these… heart pancakes that is. In fact, what havent we made that is heart-shaped !! I went through an ‘obsession’ with that shape. Love the chocolate sprinkles. Am getting hungry… Thankyou for sharing your pancakes at the linky party at the Fine Craft Guild. Your pancakes came out so cute. I’m going to have to try them. Thanks so much for sharing at Wednesday’s Adorned From Above Blog Hop. Adorable!!! You made it sound simple, thank you!!! I actually ordered cookies for my husband and son this year, I imagine I will make a special dinner, too! So I could make the pancakes on the Sunday before? My daughter would LOVE these on Valentines day! I love pancakes, we have them for dinner quite often. (I am not a morning person) These are so cute. Thanks for sharing these and your yummy chili meatball dinner!!! My son loves when I make shaped pancakes! Yours are soooo cute, and now you have me thinking I need to make these for breakfast soon. :-) Thanks so much for linking up at What’s In Your Kitchen Wednesday! I’m so glad you shared this at Loving Valentines Day!